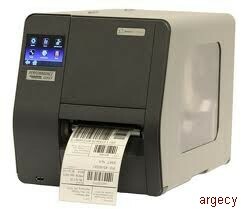 Source Technologies is bringing renewed energy to the thermal printing industry. 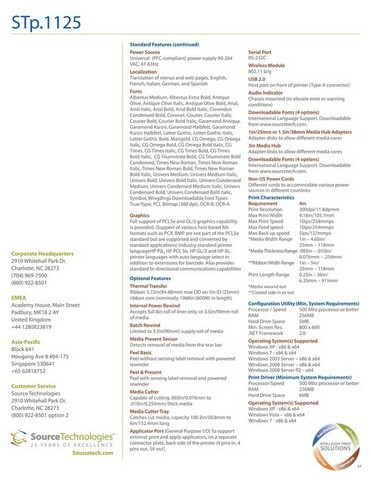 Our outstanding team, with decades of experience engineering barcode printers and a clear understanding of the marketplace, designed our performance solutions to exceed industry expectations. Our first thermal barcode model was developed to excel in the midrange arena. True workhorses of the industry, midrange printers are expected to perform effortlessly in some of the harshest of settings. So, we took every opportunity to ensure the Performance Series offers the features thermal printer users identified as most important. Our goal of bringing a superior product to market was realized with the introduction of the midrange ST Performance Series - engineered and assembled in the United States. 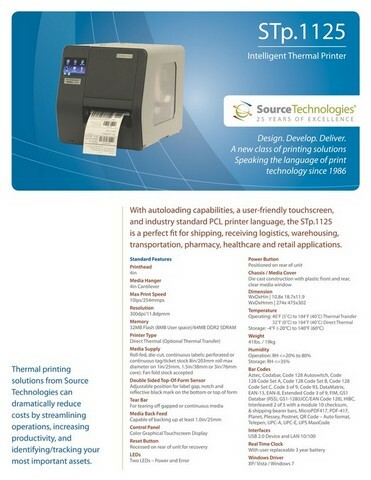 The STp.1125 is engineered to maintain superior print quality and registration with unsurpassed durability in a midrange thermal barcode printer. Ideal for mission critical applications in virtually any condition, the printer's industry leading design offers the highest-level of performance with innovation and longevity built in.